Vehicle Wraps advertising is one of the most powerful forms of marketing for small to medium-sized business owners on a budget. If done correctly, it can get your message across to a huge audience in a fast and effective way, thus transforming your business overnight. However, if done wrong, it can turn into a futile investment, not to mention a big waste of money. Why use your vehicles wraps for advertising? Vehicle Wraps are a form of interruption marketing and their main purpose is to convey your message in front of a captive audience that has no other option to look for it. Whether they choose to read it won’t just depend on the design, but also the marketing message. According to statistics, around 94% to 97% of onlookers will show little to no interest in your service or product at that given moment. This is because customers today are bombarded with countless marketing messages in various forms, including signage, billboards and vehicle graphics, thus compelling them to become very selective in which information they choose to retain. To make your message stand out and for your vehicle wrap to be a successful promotional tool, you as a business owner will need to avoid the following mistakes. Think of vehicle wraps as a revenue stream rather than a cost. Start shopping for the best quality instead of the best price since low prices often compromise the quality, something which you definitely do not want. Don’t just look at catchy pictures of vehicle wraps online and use them as a reference for your own campaign. Marketing is based on connecting with your target audience, and in order to do this well, your message needs to resonate with them. Put a great deal of time and thought into coming up with a vehicle wrap design that your customers can relate to, rather than taking shortcuts. 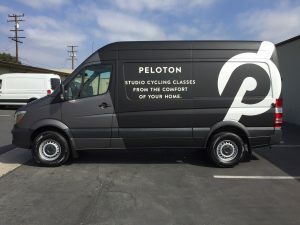 Keep in mind that vehicle wrap companies specialize in creating customized designs, which means the sky is the limit for you when thinking about the best advertising message.You will need to start by focusing on your ideal customer, their likes, dislikes, interests, and what makes them tick. Your aim should first be to get crystal clear on your message and later focus on finding the company that is best able to assist you in communicating that message on your vehicle. If your design is eye-catching, unique and informative, it may end up appealing to a specific, but very large target audience. Don’t just rely on the feedback from your friends and family on the design without providing them with the details of what you are trying to accomplish. If you are planning to involve someone in the decision-making process then make sure they are also involved from the very beginning and are part of how best to communicate with your ideal customer.